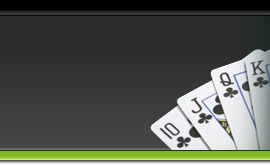 Western Union poker sites are widely available and most US accepted poker rooms do provide this option. There are some benefits to using Western Union as a means to fund your poker or casino account and we have included them in this review in addition to any drawbacks. Western Union is one of the more convenient methods simply because the ease in being able to deposit via the internet through the Western Union website or by walking into a dealer location. There is a Western Union dealer in almost every city within the United States. 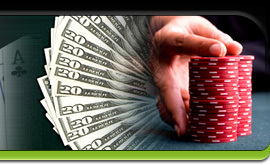 First you will need to find a poker or casino site which accepts Western Union deposits. We have listed some of the top ones below. Once you have created an account, simply visit the poker room cashier and click on the Western Union logo. From here a popup will appear which will provide you with specific information which you will need to write down, or you can choose to print the screen. These details will include the name of the receiver, phone number and country. Make sure you have the correct spelling on each area or your deposit could be delayed. Once you have the information you can either logon to the Western Union website, or visit a dealer location and fill out the form. Western Union does charge fees for players, which is considered to be some of the highest in the industry. These fees must be paid on top of the amount being sent and can average anywhere from $25 - $50 per transaction. When requesting a withdrawal via Western Union, the site may waive the withdrawal fees for you depending on the amount of the request.